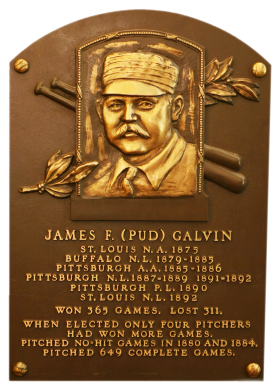 Nicknamed "Pud" because he made pudding out of hitters, Galvin was pitcher supreme for NL Buffalo in the 1880s. 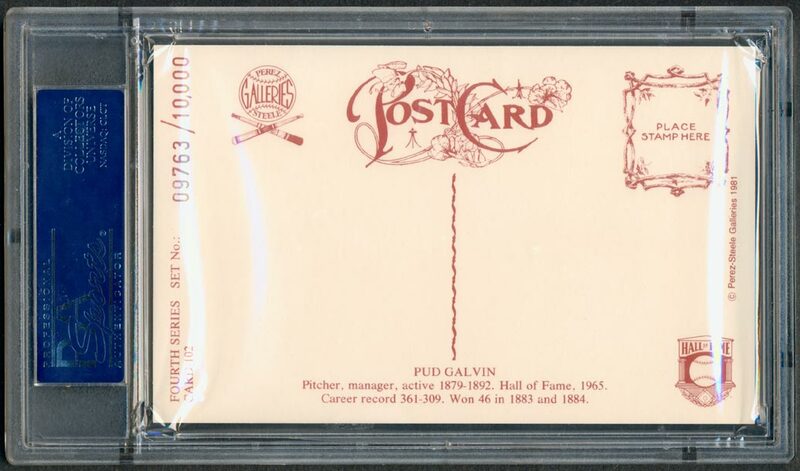 On his way to 364 career victories, Galvin pitched more than 400 innings nine times, and won 46 games in both 1883 and 1884. 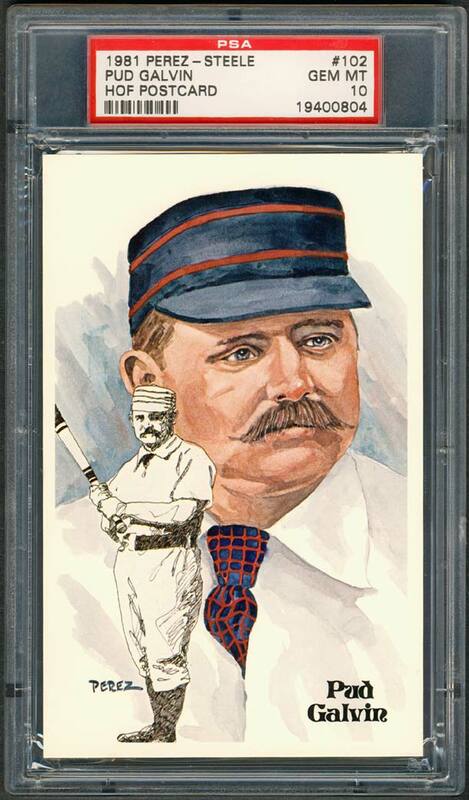 "Gentle Jeems" ended his career with 57 shutouts, 646 complete games and 6,003 1/3 innings pitched. The Washington Post reported that Galvin used Brown-Sequard elixir, which contained monkey testosterone, before a single game in 1889. However, no one seemed bothered by the use of the elixir, and the newspaper practically endorsed it after the game, saying that Galvin's performance was "the best proof yet furnished of the value of the discovery." Comments: I purchased my first Perez-Steele Pud Galvin postcard on eBay in July, 2003 (along with a Ross Youngs) from seller Arthur Gottheim (metscape). The card was submitted to PSA and graded MINT 9 in 2004. 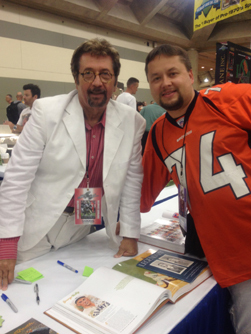 In November, 2011 a bunch of PSA 10 Perez-Steeles popped up on the bay from seller 4 Sharp Corners as Buy It Nows. I won this GEM MT Galvin along with William Hulbert, Pud Galvin, Rube Foster, Willie Wells, Joe Rogan, and Joe Williams.